While its partner company Pixar continues to break new ground in animated movies, Walt Disney Pictures is taking a different path. Rather than keep making the sort of well-known, traditional animations that essentially created the movie studio, it plans to reformulate those tales as live-action films. The first example is Cinderella, whose live-action version hews closely to Disney’s 1950 animated version, from the coach that turns into a pumpkin to the sky blue color of Cinderella’s dress at the ball. The goal in making the new version with actors instead of animation was to pay tribute to and resonate with the nostalgic original, while still offering something new. The company plans similar cartoon-to-live action transformations for several other titles, including The Jungle Book and Dumbo. Furthermore, it will release another entry into its Pirates of the Caribbean franchise, and it plans to move Alice Through the Looking Glass in a follow-up to its live-action Alice in Wonderland film. The source material in many of these cases is both a benefit and a threat to Disney. Because it made fairy tale films in the early days of movies, it has a strong reputation in this market. When people think Sleeping Beauty or Beauty and the Beast, they are often imagining the Disney version. However, fairy tales are in the public domain, which means that anyone can make a movie based on the story. Thus Universal Pictures has a new version of The Little Mermaid in development, and the movie it ultimately releases does not have to follow the Disney version of the story in any way. To ensure that the versions it releases are the most appealing and popular with audiences, Disney therefore leverages its existing access to its target demographic. Displays of popular Frozen toys feature new Cinderella paraphernalia immediately adjacent. 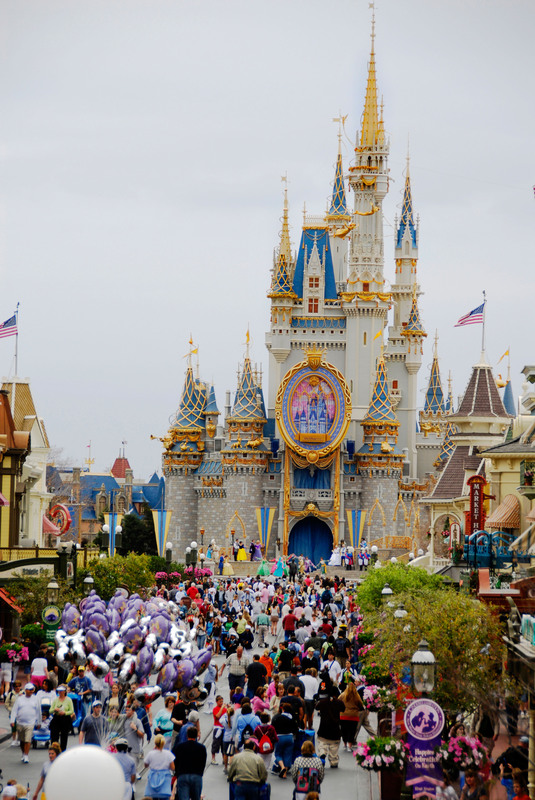 Before the movie opened, Disney theme parks played up Cinderella’s re-emergence. And the trailers preceding Disney movies in theaters have for months encouraged viewers to consider the new live-action fairy tale for their future entertainment needs. What kind of product innovation is a live-action version of an animated movie, previously released by the same studio?